From master chef Julia Child to kitchen bible The Joy of Cooking, home chefs have been told for decades to rinse that Christmas turkey before putting it in the oven. From master chef Julia Child to the kitchen bible The Joy of Cooking, home chefs have been told for decades to rinse the inside and outside of Christmas turkeys before putting them in the oven. Proponents of turkey rinsing apparently did so to wash away any imagined germs and bacteria. But it turns out that rinsing was doing the opposite. 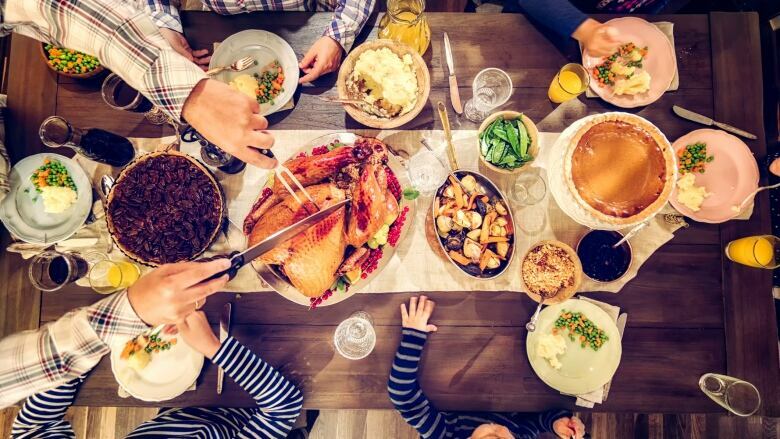 It may come as a surprise — even tough to swallow for some — that recent Health Canada guidelines say rinsing the beloved bird can splash and spread bacteria from the raw turkey juices to other foods, hands, clothes, work surfaces and cooking equipment. The University of Wisconsin, citing a European study, wrote that bacteria can travel up to a metre away from where your meat is rinsed. 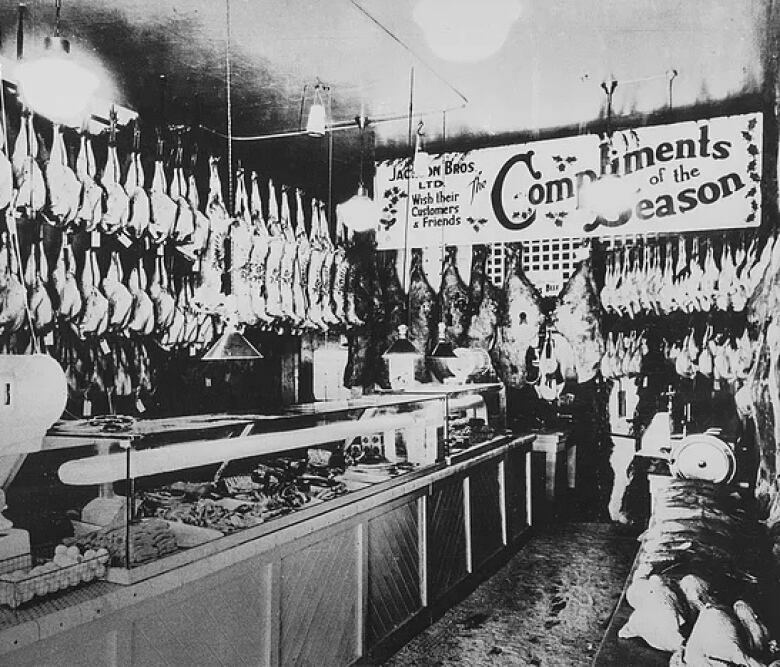 The move to a more sanitary environment in kitchens and elsewhere has come a long way since the 1930s when Vancouver's Jackson's Meat and Deli was hanging dozens of Christmas turkeys from hooks, right out there in the open, without refrigeration. The current owner, Chris Jackson, is the sixth generation of Jackson butchers. He said that when he was a kid, a popular turkey with customers was called the New York Dressed. It was just plucked, and the butchers would have to remove the head and feet before cleaning and hanging them up. "They were really ugly looking," said Jackson. "But they tasted amazing because they still had all the natural oils on the outside of the bird." With a 100-year family history of selling turkeys, does Jackson recommend his clients rinse or not rinse their birds? "I think a little rinse is always kind of nice, a rinse and a pat dry," he said. The custom of hanging fresh turkeys at Jackson's went away about 20 years ago. Now, locally sourced, free-range, non-medicated birds are most popular. The store's two locations will sell over 1,500 turkeys this season. Age-old habits like rinsing the bird before roasting may be hard to break for some, but not for Jackson, who says no harm, no fowl. "We've been doing things [this way] for so long," he said. "And nobody's been sick on our watch."